LAST CHANCE to secure Orion 2012 earlybird special! Broome & The Kimberley Holidays have secured additional cabins on an exclusive cruising package onboard Orion in 2012. Witness the Kimberley coast burst to life after a monsoonal wet. 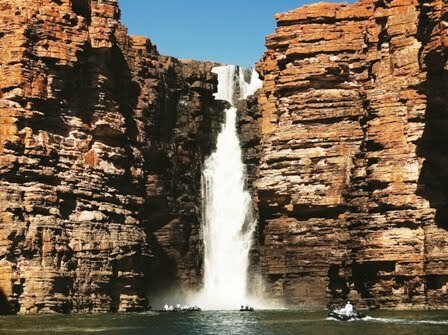 NOW is the last chance to take advantage of our fantastic earlybird savings and secure your place onboard Orion for this incredible Kimberley Waterfalls Cruise - but hurry earlybird sale ends 30 November 2011! Darwin to Broome – 12 April*, 2 May, 11 June, 01 July, 10 August, 30 August*.